From an early age he was exposed to cinema and theatre. His love affair with cinema began in the 1960s when he watched Meena Kumari perform a song & dance sequence for the film Dil Apna Aur Preet Parayee . He was also fortunate to witness the preview of Mughal-e-Azam with the stars and film makers. With the growing popularity of cinema, film stills, posters and other film materials flooded the footpaths of Grant Road, Opera House and Chor Bazaar. Zafar was smitten by the glamour of cinema and bought a couple of photographs with his pocket money. Bombay became his favourite vacation destination and each visit his collection grew. 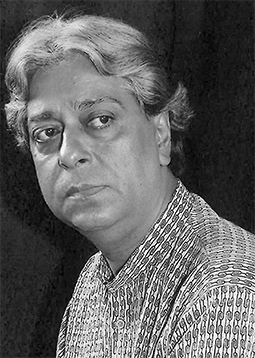 In the late 1960s, he met Husain, his close friend & confidant, who guided him in his journey. Thus, started his journey of collecting film artefacts which continues till today. “I would always remain thankful to personalities such as Meena Kumari, Nargis, Premnath, Naushad and Ardesir Irani sahib for encouraging me along this lovely journey of preserving India’s cinematic heritage in some small manner.”, says Zafar. Zafar started building not only his collection but also acquiring knowledge which was not easily accessible in those days. He learnt about the right photographic stills, the stories from behind the scenes and films to collect. In 1980 he exhibited his collection for the first time and received an overwhelming response. He received appreciation and encouragement from all ends and continued to showcase his unique collection at exhibitions & auctions. He has also published his work in various magazines and authored a coffee table book on the “Sadabahar Cinema – Golden Era of Cinema”. Zafar aims to showcase his rare & unique collection to ardent cinema lovers. He wants to infuse his own sense of nostalgia into the youth of today. The current generation is not aware of those stars, he says. “I am sure they would not know stars like Shivrani, Lobo or Mehar Sultana to name a few.” Even the journalists who come to talk to him about his phenomenal collection don’t know who’s who in the industry. His vast knowledge of the golden era of cinema is absorbing. For every photo he has a unique story to tell which probably is never heard before. Did you know, for instance, that Sulochana and D. Billimoria co-stared in more than 25 films together? No? Well, Zafar just told us that.